Sitecore Symposium 2018 – All discounts in one place! 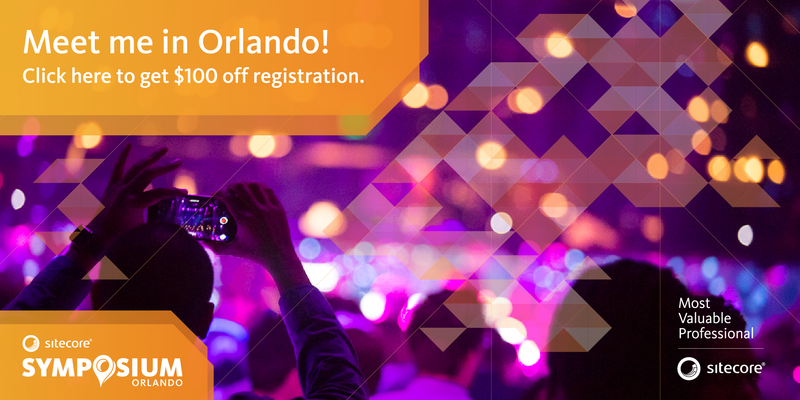 Are you going to attend on Sitecore Symposium 2018 in Orlando and you still do not have tickets and accommodation? Great, this is post for you! These days everyone complains for lack of time so I built a list of discounts which Sitecore has prepared for you this year – maybe it will let you to get tickets in better price. I will try to continuously update that list to share with you all up to date information which I found. Every MVP can prepare a special link with code which lets you to by tickets 100$ cheaper than price at the moment is. Code expires Friday, September 14, 2018. So currently it means – 200$ off. Click image or this link https://sitecoresymposium2018.smarteventscloud.com/portal/registration/MVPLSKOWRONSKI to use my code. On July Sitecore has announced new trial license for developers. 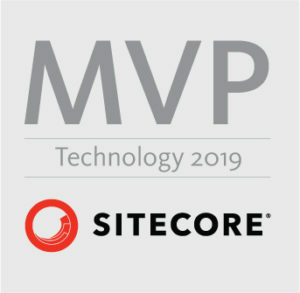 If you have not heard about that – check details here: https://community.sitecore.net/technical_blogs/b/technical-marketing/posts/announcing-the-global-availability-of-the-sitecore-developer-trial. Everyone who have tried that and will share what achieved with Sitecore during 60 days of tests, have a chance to win free ticket (regular price – 1595$). The winner of this contest has been announced. The winner is Mohammad Abujaffal – congrats! Check his story here: My Sitecore story. If you want to check Sitecore’s announcement – visit this page. If you are coming with the team or you just want to organize with friends you can get discounts for groups. Tickets must be purchased together and cannot be combined with additional discounts. As always also this year Sitecore has organized better hotel prices for all Symposium attendees. Use that link: https://www.swandolphin.com/groupres/site18/ to start booking process. Cost of a hotel room starts from USD $259 + $25 daily resort fee/night plus tax, currently 12.5% – offer expires on Friday, September 7, 2018. If you are going to stay in Swan or Dolphin you can enjoy special deals which will save your time – if you will decide to visit Walt Disney Wolrd. Hopefully gathered information from this post will let you to save some bucks to spend them in Orlando! Author Łukasz SkowrońskiPosted on 22/07/2018 21/09/2018 Categories Community, SitecoreTags Orlando, Sitecore, SymposiumLeave a comment on Sitecore Symposium 2018 – All discounts in one place!